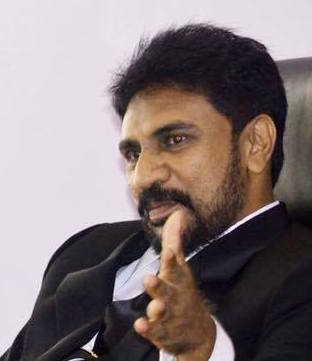 The Sri Lanka Broadcasting Corporation (SLBC) is seeking legal advice to ascertain if Secretary to the Ministry of Parliamentary Reforms and Mass Media Nimal Bopage was in line when he ordered for the cancellation of the monthly Board meeting this week, sources said. The SLBC Board has sought legal advice to determine if Bopage had the necessary authority to cancel the meeting which was to be held on September 5. 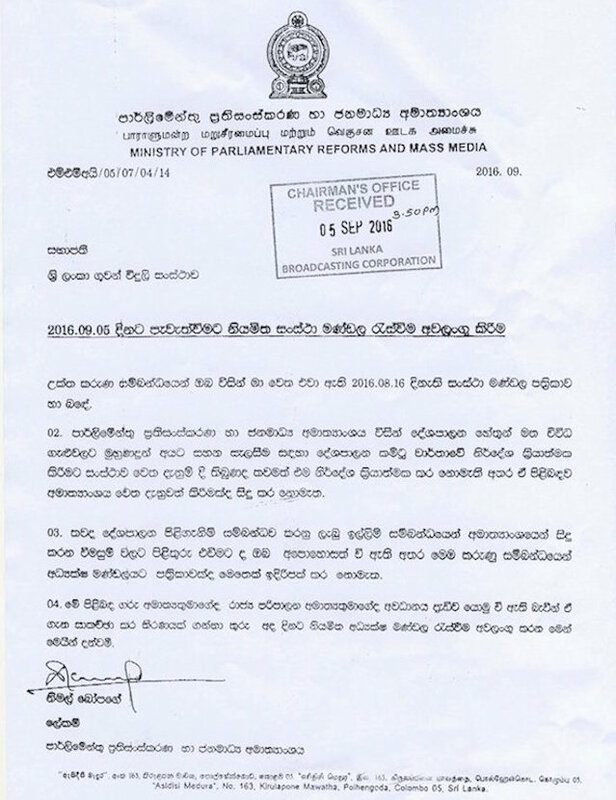 In a letter addressed to SLBC Chairman Nanda Muruttettuwegama, Bopage ordered for the cancellation of the SLBC Board meeting. Sources told the Colombo Telegraph that due to this decision the day to day operations of the SLBC including its cash flow will be crippled. “The reason he ordered that the Board meeting be cancelled is because of the non-action by the Board on several cases of political victimization,” sources said. According to SLBC sources these issues had been discussed at the previous Board meeting and the Secretary to the Ministry had been informed about the discussion. Legal experts say that neither a higher official nor the political leadership has powers to cancel a Board meeting of a statutory institution such as SLBC. Bopage is currently under investigation by COPE and FCID on a Rs 100 million fraud allegedly committed by him when he was the Chairman of the National Human Resource Development Authority during former President Mahinda Rajapaksa’s regime. 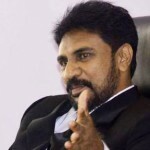 The Attorney General in March this year advised necessary legal action against Bopage but he was appointed to the powerful position of Secretary to the Parliamentary Reforms and Mass Media two months later by President Maithripala Sirisena despite corruption charges. An English or Tamil translation of the letter would help. This is very good administrative decision and no one can challenge the authority of Ministry Secretary over an institution under the ministry. The secretary has the authority to issue any order regarding administrative matter of the institutes which are under the purview of the ministry.